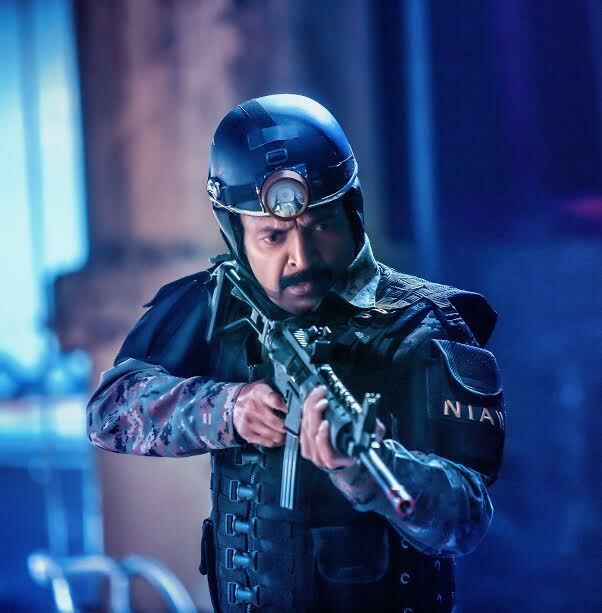 Rajasekhar's 'PSV Garuda Vega' being made at Rs. 25 Cr! 'PSV Garuda Vega 126.18M', directed by Praveen Sattaru and starring the Angry Young Man Dr. Rajasekhar, is currently being shot. Sixty per cent of the production part is complete. The cast and crew members have arrived in Hyderabad to can the last schedule. Producer M Koteshwara Raju has revealed certain interesting details about the awaited entertainer. "We are making this stylish action thriller at a cost of Rs. 25 Cr. We have shot the movie in Georgia, Bangkok, Malaysia, Pataya, Singapore and Mumbai, among other places. The actioner features huge action and chase sequences canned under the aegis of the Russian stuntman David Khubu, Thailand stuntman Nung, and our own Master Satish. In a large set erected in Mumbai, we have shot a special song on Sunny Leone, choreographed by Bollywood dance master Vishnu Deva". He adds that the rest of the talkie part will be shot in and around Hyderabad, including Charminar, later which 'PSV Garuda Vega' will gear up for release. The makers are making the film in such a way that it will belong to a league of its own in action genre movies. The aim is to herald a new era of Indian action films, matching up to the standards of Hollywood movies. Not just action. The film has got comedy, suspense and thriller elements in good measure, the makers promise. Kishore as a fearsome villain George, Pooja Kumar, Shraddha Das, Posani Krishna Murali and Arun Adith will be seen in key roles. Praveen Sattaru of the critically-acclaimed 'Chandamama Kathalu' and 'Guntur Talkies' fame has penned the story and screenplay as well (Niranjan Ramireddy is the co-writer). Music is by Beems Cecirolio and Sricharan Pakala (the last one is giving BGM). Cinematography is by Anji, Suresh Raguthu, Shyam Prasad, Gika and Bakur. Sreekanth Ramisetty is the art director. Editing is by Dharmendra Kakarala.